Yes! 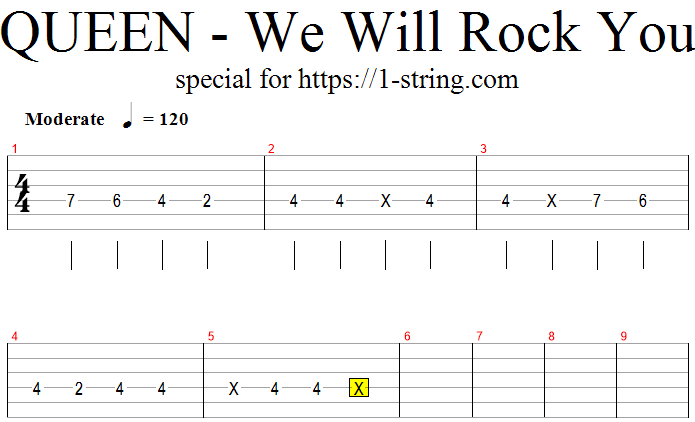 I made tabs for song known throughout the world: Queen – We will rock you on a single string! It’s very easy! I promise that in near future I will add tabs for “Queen – The show must go on”, so please wait! There are also tabs for “Another one bites the dust” on my website, you may search. Please vote for these tabs and leave comments! Thanks!